Norwegian artist and producer CLMD (aka Martin Danielle) has delivered the huge video for his brand-new track ‘Anything’, featuring the talents of popular duo Madcon. Travelling across space and time, the Norwegian superstars take to mountain and polar regions on a quest to prove their commitment in this adventure-filled romance story. Fusing CLMD’s melodic pop-dance style with the unmistakable vocals of the Norwegian pair, ‘Anything’ is an upbeat party starter which looks sure to dominate airplay globally across this coming summer. Working as a mentor on the Norwegian version of ‘The Voice’, the highly acclaimed producer has also tasted international success across the globe, touring with Swedish House Mafia legend Steve Angello on his ‘SIZE Matters’ US Tour, and receiving multiple spins on radio stations globally such as BBC Radio One, Sirius XM, Kiss FM and Capital FM. Labelled as ‘Norway’s Finest’ by legendary DJ and broadcaster, Pete Tong, CLMD has racked up multiple platinum sales in his native country, building up an insatiable back-catalogue of both original productions and reworks, tackling remix duties for the likes of Bruno Mars, Estelle, Nervo, and Arty. 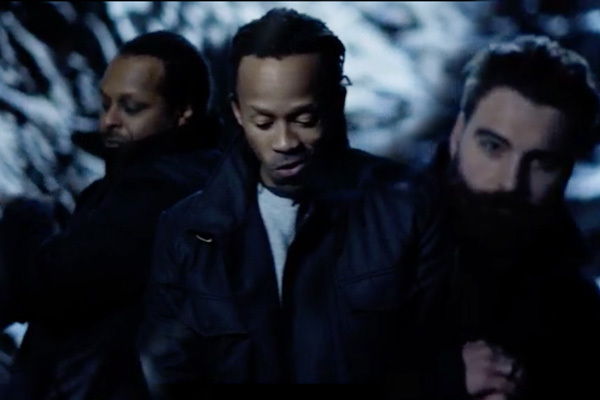 Best known for their huge hit ‘Beggin’, which achieved Gold status in the USA, Norwegian Grammy-winners Madcon have enjoyed further success with ‘Don’t Worry’ which has amassed over 180 million Spotify streams so far. Collaborating with the likes of Snoop Dogg, Kelly Rowland, Ne-Yo and Ludacris, the pair’s ‘So Dark the Con’ album was certified gold in just 3 hours and went platinum in 3 days in Norway. Combining CLMD’s breezy signature sound with the vocal skills of Madcon, the video for ‘Anything’ is out now.